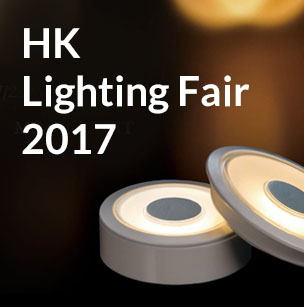 Goldyear, as a well known and innovative company for household and commercial LED lighting, has developed a variety of LED lights for different applications, such as factories, supermarkets, warehouses, airports and so on, where require high efficiency (lumen per watt > 87.5) and high CRI (>92). Goldyear has also introduced Several Dim to Warm models with color temperatures that warmed from 3000K at full brightness to 2000K at 10 percent brightness. The most popular "non-glare" design of AR111 12W Reality® has received many patents worldwide and is highly favored by the market in Europe, North America and Australia etc. This patented "non-glare" design has also been applied to many other products including AR70, MR16, GU10, PAR30, PAR38 as well as different sizes of small down lights (Moonlight®) with touch dimming function. This year, Goldyear will also exhibit many new decorative lighting collections (Halo ceiling/wall lights and Space pendant light), designed by well know lighting designers from Taiwan. Welcome to visit our Booth, our professional sales team will show you our new products face to face. If time allows, you may also visit our factory in Huizhou after fair. Thank you and looking forward to your visit.